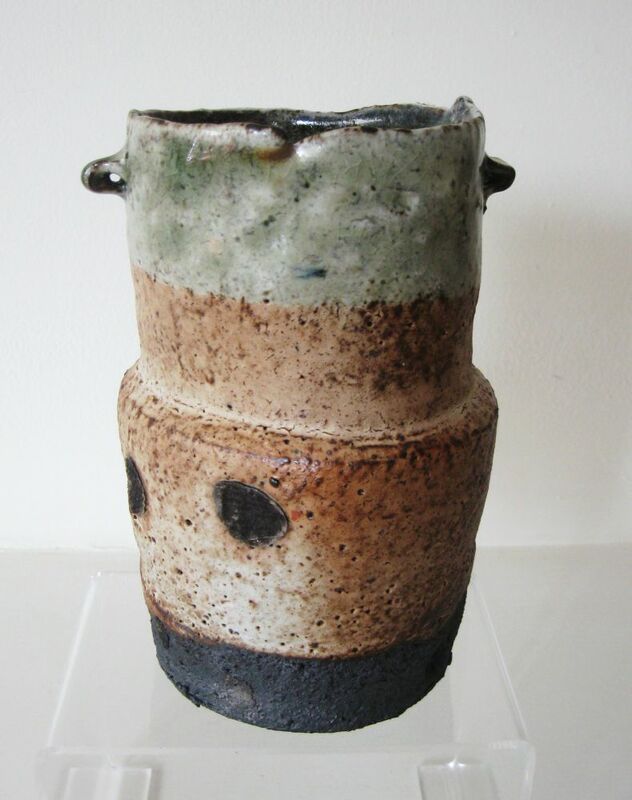 Marcus O’Mahony has been making functional stoneware and porcelain inspired by the Leach Hamada tradition at his studio in rural Co. Waterford for the last 15 years. His passion is woodfired ceramics and salt glaze. To accommodate his continued interest and ongoing development in this highly specialised area he has recently completed the building of a large kiln capable of producing longer firings (3-4 days) for his work. It is this prolonged firing that generates the heat of 1300°C needed to move the wood ash around the kiln interior which results in the rich surface, colour and textural effects that are associated with this type of work. These variations in texture, colour and surface caused by a combination of many different factors within the kiln are exactly the effects Marcus seeks to generate in order to complement his considered thrown and handbuilt forms. To add to the drama of the firing he also applies slips and glazes to allow the chemical process itself to deliver a unique result from the fire. The potter’s wheel is the starting point for his work but pieces can undergo considerable transformation by altering on and off the wheel to arrive at the hoped-for result of a satisfyingly balanced form. The works that result from these encounters with heat, ash, chemistry and skill are exhibited extensively both in Ireland and abroad.